Natural Ceylonese | Ceylonese Blue Sapphire | Fine Gems | Natural Blue Sapphires. Comments There is always a force that can propel you forward. 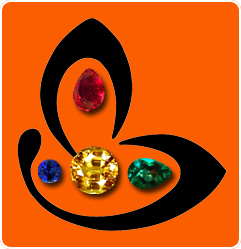 There is faith and then there are the natural gemstones – one of the easiest methods of tilting the cosmic forces in your favor. This is a way that does not require you to perform complex rituals. Just accept your talisman with faith and respect and its good to go. 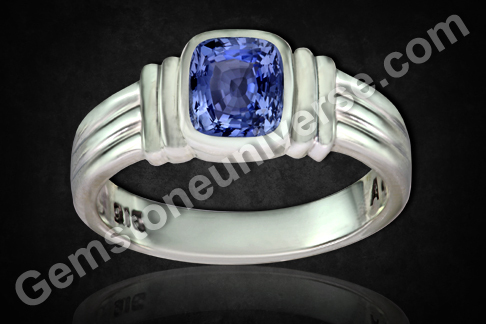 Featured today is a Natural Ceylonese Blue Sapphire Men’s ring. The cushion cut gem of 2.25 carats has an intense sky blue with violet tones and is set in sterling silver. Untreated, fully natural Blue sapphires have a lot of power and according to Vedic astrology can make very significant changes in an individual’s destiny. Blue Sapphire or Neelam as it is known otherwise is also basically corundum (Aluminium Oxide) which gains the color blue due to the presence of traces of the element titanium. The legendary Kashmir Blue Sapphires have been the best Blue sapphires known to mankind, but unfortunately indiscriminate mining led to complete exhaustion of the yield. They are now the stuff of legends actually and possibly reside in the private colections of connoiseurs. The richness of its color makes it stand out absolutely. Now the best blue sapphires come from Sri Lanka or Ceylon. 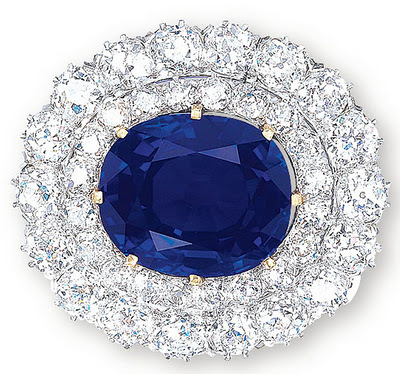 Feast your eyes on this 26.41-carat, cushion-shaped Kashmir sapphire and diamond brooch that fetched more than $3.8 million or $145,000 per carat at Christies Hong Kong auction in november 2011.